We offer the following sizes and roll lengths. This item is sold by the UNIT of 1, 2 or 4 rolls. This size bubble wrap is mostly stocked in the 24" wide rolls x 188'. Other sizes are not regularly stocked. All rolls are perforated every 12 inches regardless of the width. 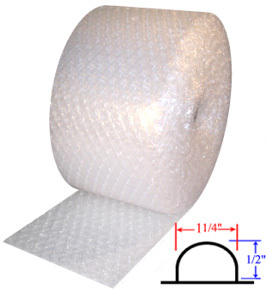 Bubble Length: The length, 188' or 375' etc... is the length of the entire roll in FEET. The 12, 24 or 48 is the width of the bubble.